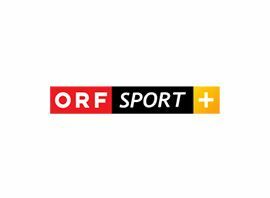 ORF Sport + in an Austrian sports channel owned by the public service broadcaster, ORF. The channel is available via satellite Astra 1KR, on 19.2°E, cable and DVB-T, in Austria and parts of Europe. Before the launch of ORF Sport Plus on 1 May 2006, TW1 provided sports programming since May 2000 up until the launch of ORF Sport Plus. On 22 October 2007, ORF Sport Plus was made available to DVB-T, only in the state capitals of Austria. Since that date, TW1 was available only on cable and satellite. ORF Sport + shows a variety of sport programming including; American football, ice hockey, football (UEFA Intertoto Cup), hockey, badminton, tennis, tabletennis, volleyball, team handball, swimming and the National Golf Championships.